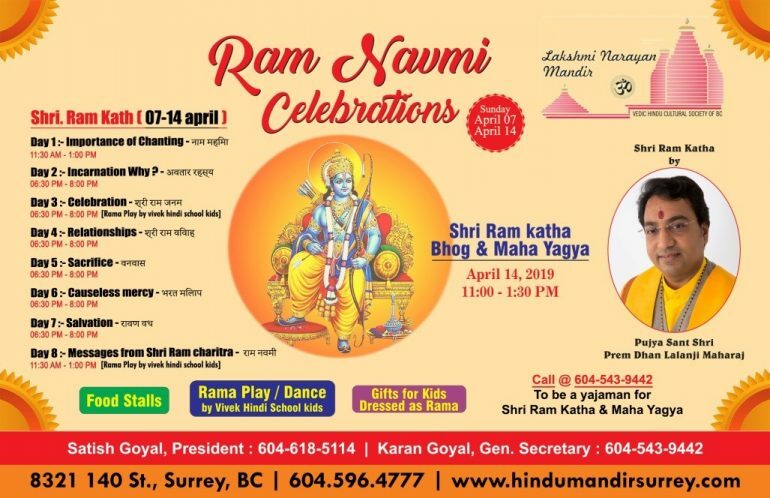 The Board of Directors and Council Members of Vedic Hindu Cultural Society of BC (VHCS-BC) are organizing “Sri Ram katha starting April 07 Sunday to April 14 Last day of katha & Celebrating as Ram Navami celebration & performing MahaYagya Detailed attached below . 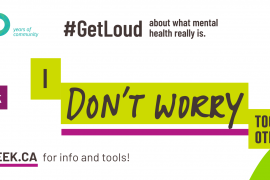 Your presence and participation on this event will be highly appreciated. During Shri Ram Katha & Ram Navami celebration will comprise of Hindi Vivek school kids Play onord Rama Story , kathak school Performance, Eating Stalls, Dinner and much more, including meeting with many Hindu Canadian community members. The festival of Ram Navami is celebrated as the birthday of the Hindu God Rama, who is one of the incarnations of Lord Vishnu. According to the Hindu calendar, it falls on the ninth day of the Chaitra month, which is the spring season. Though Ram Navami is a major festival which celebrates birth of Lord Rama, it is widely celebrated by the worshippers of Shiva, too. It is considered auspicious to undertake a fast on the day of Ram Navami, in the name of Rama. The objective of the fast is not to ask for special favors of the deity, but to seek perfection as a human being. 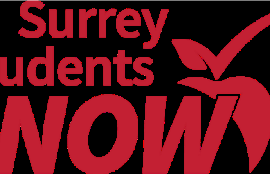 The VHCS-BC in lower mainland is committed to highlight and celebrate Canadian & Indian days and events for the Indo Canadian community. This is done to create cultural awareness on an ongoing basis and to honor the diversity of the multi ethnic fabric of Canada. VHCS-BC is humbled by the community support and takes pride in their voluntary services to make these events a huge success. 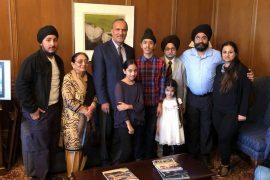 Your support will be an encouragement to us, as well as, to the Indo Canadians in BC.